One Week To Go: Freedom is near! 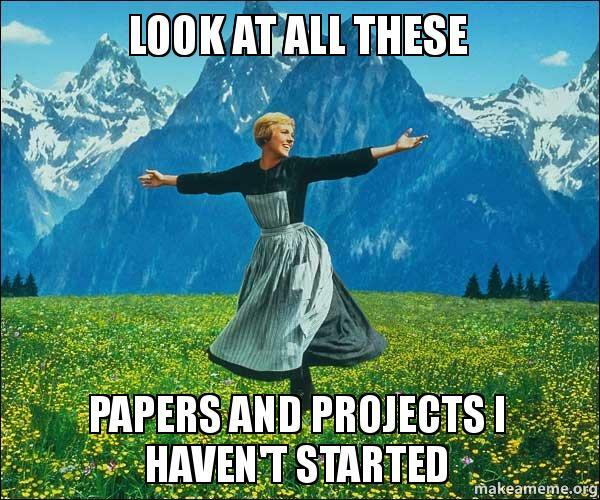 This is part two of my end-of-semester reflections on my Arts Administration ‘Intro’ course. What circumstances and conditions for learning work best for me – e.g. do I work best under pressure, or do I ONLY work under pressure? You know what’s distracting to a student who has an assignment due? Everything! Food. Dishes. Cats. Facebook. The news. Making Christmas lists. Cleaning the bathroom. Netflix. Shall I go on? When you don’t have a desk and your laptop lives on the kitchen table, it’s surprisingly difficult to get work done. I worked best when no one else was home, or I was on campus in a quiet(er) environment. I definitely worked best under pressure, though it was much more pleasant when I forced myself to get work done early. This was much more likely to happen if it was a group project and we had set our own due date – no one wants to be THAT person who doesn’t have their stuff ready in time. I definitely procrastinated more on the individual assignments when I only answered to myself! What have I learned about arts management that has been unexpected or surprising? I think the sheer variety of different things an arts manager has to think about (pretty much every aspect of business management) has been most surprising. I am so impressed by the staff at small arts organizations, who are constantly doing eighteen jobs at once, and it’s a little daunting to think of working somewhere and having to know how to do all of those eighteen things! What has been my most valuable learning experience in this course, and why is that? In this course, I really enjoyed when speakers would come in and talk about their work. It was always great to hear about how people got to their current positions – it gave us all hope that we would be employed one day! I would say, however, that volunteering for Arts Day on the Hill was the most valuable because it was out in the real world – helping an actual arts organization do real work! Plus learning about something I had no experience in previously was fun. Being on Parliament Hill was fun and very different for me. Even working a 13-hour day was fun, because it was exciting to be part of a big event. What remains for me to investigate about arts management, and how do I intend to pursue these areas beyond graduation? What remains for me to investigate? Everything! Discussing things in the classroom is all well and good but this is the sort of field that you really learn on the job. You can’t really learn how to write a grant, or cultivate donors, or create a special event, or figure out a cash-flow analysis until you have to do it in “real life”. We learn tools and tips to help us along the way, but you never know what the situation will be like in an actual work setting. Beyond graduation I hope to have a good amount of skills under my belt from my two placements to make me a good candidate to find a job in Toronto’s cultural sector. I haven’t been very good at keeping up my volunteering in the past few years so I hope to continue learning that way as well once I have finished the program. Continuing education courses, in fields like fundraising, or the OMA‘s museum courses, may be helpful in getting more specific skills. It is also the time for reflection, however, as 3+ months of class have gone by in a blur of information and some things must have soaked into our brains and made us smarter, keener arts management students. Right? Right. Here are some questions put to us in our Intro course to help with the reflecting process. Which of the learning outcomes was I able to achieve in this course, to what extent did I achieve them, and which were most challenging? Whether working with classmates on a group assignment, or working with staff and volunteers while volunteering with arts organizations, there was plenty of opportunity to work with groups on presentations/proposals (school), or special events (volunteering). 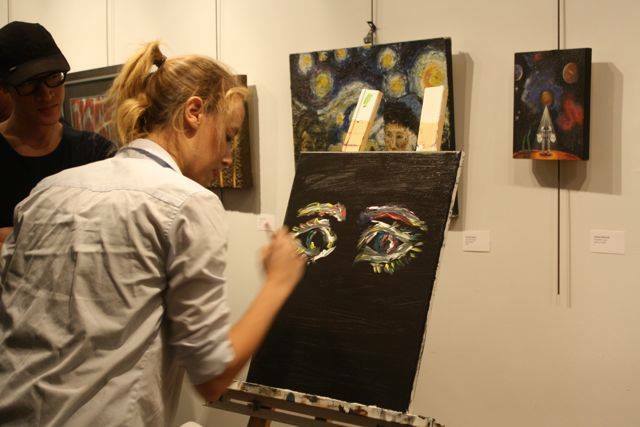 Arts organizations are usually made up of a core group of staff with plenty of volunteers helping out so teamwork skills are a must. For school work, Google Docs were my best friend this semester – the ability for multiple people to edit the same document was a life-saver. I found that most of the time, everyone was on the same page: wanting to do the best job possible. Keys were finding each others’ strengths, making sure everyone could voice their opinion, and being dependable/available through various channels. Arts management is broad enough that I could never list everything one may do in this field. Depending on the size of the organization, an arts manager may have a hand in everything, or concentrate on one thing, such as corporate sponsorship. Looking at a special event, like the Art Clash event at Lakeshore Arts last month, arts manager were involved with: program development, getting in-kind donations from local businesses, recruiting and managing volunteers, recruiting and managing local artists, marketing of the event, working with Board members, updating social media during and after the event, creating and following a budget, researching and preparing food and drinks, creating a floor plan and event agenda, etc etc etc. I feel that through class discussion and volunteer work I have a good idea of roles arts managers play. I consider this a strength of the program, and one of the main reasons I chose it over something more specialized. A lot of what we talk about in class can be transferred among multiple kinds of organizations, including the performing arts, the museum/gallery world, and even on to other not-for-profits. HR, project management, financial management, development, Board management – these business skills can be applied to different cultural institutions. This I find challenging, perhaps because I don’t come from an arts background. This is the #1 skill to have as an arts manager – being able to justify your existence and communicate it to your stakeholders and potential donors/sponsors/partners/government officials. In class we most recently touched upon this in relation to arts education, volunteering for Arts Day on the Hill showed me the cold, hard numbers, and I’ve researched art as a way to fight stress for a project proposal, but I still get stuck when it comes to articulating coherently the value of arts and culture without just listing current buzz words (dynamic, vibrant, etc). How does this course fit in with the rest of my experience in the program and the larger framework of my learning? This course, meaning our Intro course, has been more like a homeroom than an intensive class. We have covered brief introductions to all sorts of topics and heard from many guest speakers, and as such it is very difficult to separate it from our other classes. All of our classes are connected, and it’s impossible to think of a topic that we spoke of in isolation to others. While other classes focused more on specific skills (HR, project management, financial management, etc), the Intro course was our time to learn our acronyms, calibrate ourselves to industry trends, discuss our real-world volunteering experiences and past work experiences, and get an introduction to the different ways people are working in arts management – arts education, advocacy, ASOs, the municipal cultural sector, community arts, etc. In this way it fit in with the rest of the program by showing us WHERE arts managers work, and HOW they use the skills we’ve been learning in other classes in those environments. In terms of my own learning, the class helped make me aware of the different fields open to me once the program ends – and how varied they can be. Part two coming up soon! So November has gone by in a flurry of class, (job) work, and homework – with a few extra moments of volunteering thrown in. This month I have concentrated on learning about fundraising, specifically beginning to look into the field of development/philanthropy/whatever the organization wants to call it. Fundraising is essential to every non-profit in existence, and I believe is completely unavoidable no matter what your position is. I am intrigued by this field because I am very unsure about whether I would love it or hate it. Isn’t that funny? In the recent past I have had two separate experts in the Arts Management field tell me that the first rule of fundraising events is to not do fundraising events. A little negative, but I think there’s some truth in it: events can be expensive to put on, a logistical nightmare to manage, and generally not worth the trouble in regards to how much money can be raised. They can also be a lot of fun, though, for guests and volunteers (such as myself) and maybe even staff as well. I had the opportunity to volunteer (again) with Lakeshore Arts, a community-based arts organization in west-end Toronto, helping them with their Art Clash fundraiser. Thanks to tons of in-kind donations from local businesses (everything from paint to food to booze to hardware) the event cost very little. Their events manager had one of the most detailed agendas I have ever seen, down to the minute in some cases, and thanks to a team of staff, Board members, and volunteers it went fairly smoothly. I really liked the idea of having entertainment (in the form of artists “battling” each other by producing art from start to finish in a short amount of time) at the event, and engaging the audience by having them vote on their favourite pieces after each round. The challenge was keeping a fairly small group of people excited and energized for a whole three-hour event – while trying to convince them to open their wallets to buy the paintings. I found myself volunteering at another fundraiser last week, but this one was on quite a different scale. 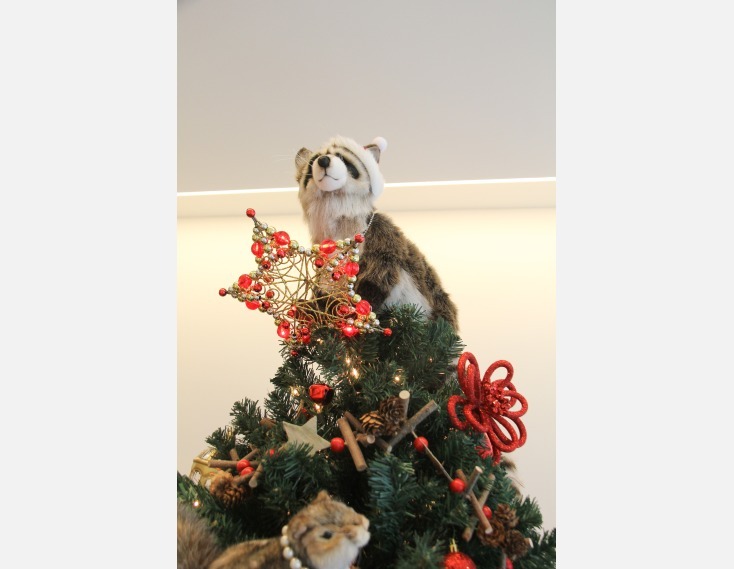 The Gardiner Museum was having their annual 12 Trees G Party, a signature event where the ticket price was $150. There were free appetizers, free drinks, designer-decorated Christmas trees to admire, and a silent auction featuring pieces by young, emerging ceramic artists. I knew this event would be swanky when I was told I had to wear a dress! That was my first introduction to the fact that if I wanted to explore fundraising, I would need to invest in some nicer clothes – you have to look good while schmoozing with your high-end donors. Surprisingly, despite the fanciness this was one of my easiest, most stress-free volunteering gigs. No running around cleaning paintbrushes, checking coats, or preparing appetizers – I mainly was there to answer questions (and have a drink or two). Definitely an event on a different scale compared to Lakeshore Arts, but the same questions remained: how to keep your attendees engaged, how to get them to give you even more money after they have paid to attend, how to thank them, and how to make them feel special. I have also found myself on the fundraising committee for a small Toronto theatre company as they begin to plan for one (or two) fundraising events in the spring, to coincide with their new show. They are struggling with the same questions I’m sure every arts organization has struggled with: who are we looking to attract to this event? How do we make it bigger/better/more profitable than last year? They are looking to target an older, wealthier crowd – what will this audience expect at an event? A swanky venue, appetizers, dinner? Who can donate these things to us? How are we going to attract this new audience to our organization? Who do we know that can help us?! Lastly, I had coffee with a manager in the Philanthropy department at TIFF. He patiently answered many of my questions, such as how people found themselves in development positions (usually they didn’t set out to) or how many fundraisers in the arts had the CFRE designation (not many) or what his day-to-day is like (lots of communication with marketing, report-writing for funders, and talking to donors). What’s funny is that he said he wasn’t interested in special events at all – but as someone who’s just starting to get experience in this field as a volunteer, that’s pretty much all you’re needed for! A wise man once explained to me that in terms of internships, you can go vertical (you know where you want to end up, and do what you need to do to get there) or horizontal (you try a few things to see if you like them). My aim is to do at least one of my program’s internships in development so I can see if it’s something I want to pursue. If not, at least I’ll know. 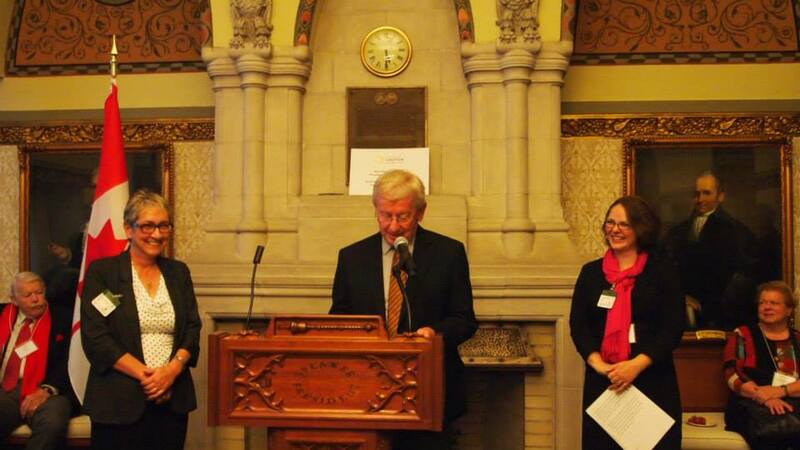 I was very lucky this year to be able to volunteer for Arts Day, an annual advocacy/lobbying day on Parliament Hill hosted by the Canadian Arts Coalition. On October 22nd, 100+ volunteer delegates from arts organizations around the country met with 90+ MP’s in Ottawa to talk about the social and economic reach of the arts in Canada. Delegates represented almost every province/territory, most arts disciplines, and different types of organizations, from arts collectives to theatre companies to ASO’s like Orchestras Canada (an Arts Admin class fave thanks to ED Katherine Carleton’s fun and informative guest lecture to our HR class back in September). The day culminated in a snazzy cocktail reception in the Parliament building attended by delegates, the co-chairs of the Coalition, MP’s, a string quartet and moi. I was fortunate to get in touch with the Fédération culturelle canadienne-francaise, an Ottawa-based group that was in charge of organizing the event, and get on their volunteering list. I committed to helping the day before the event and on Arts Day itself, not sure what to expect either day. I arrived at their downtown office bright and early last Monday at 7:45 am. I then spent the next thirteen hours helping to put together packages for each delegate – don’t feel too bad for me, it flew by and was powered by free coffee and a free Lebanese lunch. Each delegate received the following: a nametag, a “script” to loosely follow, a social media tip sheet, co-created by Humber L Space gallery‘s very own Tara Mazurk, a list of Twitter handles for each MP involved, a fact sheet with pertinent numbers re: arts and culture in Canada (like how much money our sector contributed to Canada’s GDP in 2010 – $53.2 billion! ), a meeting follow-up form to give back to the Coalition, a short bio of the MP(s) the delegate would be meeting with as well as a listing of 2012/13 Canada Council grants received by artists in their riding, and a “leave-behind” for the MP, which included a section about the Coalition and went through the three main “asks” for this years Arts Day. On Monday evening there was an information session for all the delegates. The most interesting part was a talk by political consultant Will Stewart, who gave advice about how to get your message across to MPs. Practical tips like how to get through security and how to not be offended if they’re checking their phones throughout the meeting mixed with more important ideas about how to frame your “asks” as issues they will find important. It was very interesting to hear about how to sell arts and culture to the “dark side”! Delegates then received their packages and schedules, and had a few minutes to meet with their teams – each delegate was paired with 1-3 other delegates for each meeting. Tuesday was Arts Day – but despite warnings of general craziness, it was pretty calm. We were told to expect a hive of activity, with meetings getting added or cancelled at the last minute; however, while there were some changes, everything seemed to go smoothly. After helping the FCCF prepare for their AGM coming later in the week, I was set free to amuse myself before the cocktail reception. So I spent some time in Bridgehead, my fave Ottawa coffee chain, took a look at a great WW1 photography exhibit currently at the National Gallery and slowly made my way to Centre Block for the reception, where kind words were spoken by the co-chairs of the Coalition, as well as our host, Deputy Speaker Joe Comartin, MP Tyrone Benskin and MP Joyce Bateman, members of the All-Party Arts Caucus, and Deputy James Moore. If I learned anything from my (very) small role in Arts Day it’s this: Volunteer to be a delegate! It’s a great chance to meet artists and arts managers from all over the country, and help the advocacy efforts of the Coalition. Nervous about talking with MPs? Each delegate gets tons of information to discuss, as well as tips to have a successful meeting. Arts managers can’t afford to be ignorant of the current political climate and must learn how to speak “government speak” with MPs from each party. Don’t like lobbying? Advocacy isn’t all about asking for money – it’s about branding yourself, and letting the government know how important the arts and culture sector is to Canada’s overall financial and social health. I would urge any of my Arts Admin or SCAPA classmates to keep this event on their radar and maybe in a few years, we’ll be the ones spreading the message about the impressive reach of the arts and culture sector. During the last weekend in September, communities all across Canada celebrated the fifth annual Culture Days, a national celebration of arts and culture. Local groups came together to organize free, interactive activities to give Canadians the opportunity to participate in, and become aware of, the arts and culture in their community. I sadly had never gone to any Culture Days events so I jumped at the chance to volunteer for Lakeshore Arts, who, along with Humber College, organized all the activities for the Etobicoke Lakeshore neighbourhood. That Saturday was a spectacularly beautiful, sunny day. Four of us headed out with clipboards, pens, and branded T-shirts, ready to approach Culture Days participants and kindly ask them to fill out surveys about the event. It began with basic questions – how they heard about it, where they lived, if they had been before, if they were planning to go to more events, and then moved into more detailed territory – what did they learn, did they feel the event was good for the community, were they more willing to participate in community events after attending. With the Gardiner closed (many a Torontonians’ worst nightmare), traffic was somewhat hideous along Lakeshore which may have contributed to the small numbers we observed at events. Everyone I spoke to, however, had positive things to say. The audience was mainly families with young kids, and parents loved the participatory nature of the events (building with Lego, crafting a dreamcatcher, making puppets, yarn-bombing). One problem that Lakeshore Arts has is its geographic scope: Lakeshore from Park Lawn to Long Branch is a huge area! I was hopping on the 501 bus over and over (thanks to my Metropass) but others weren’t so lucky. A complimentary shuttle bus was provided to get people to the different clusters of activities, but the unusual traffic, combined with the fact that the shuttle wasn’t confirmed until after the program had been printed, meant that it wasn’t the most efficient way to get around. Another issue we encountered demonstrates the difficulties involved with organizing a large, multi-day arts event with different organizations. While at Humber, we met some Culture Days volunteers who were trying to get people to do their own survey. Visitor feedback is important, but people aren’t always willing to do one survey, let alone two! Theirs also involved a chance to win an iPad, an incentive we couldn’t provide. Lakeshore Arts hadn’t been told that this was happening so there was some confusion on our part. How events get planned and executed with multiple organizations, each with their own mission and goals, is definitely an interesting research topic. It’s always a little funny volunteering for an organization, and representing them to members of their local community, when you yourself are just learning about what they do. The Executive Director of Lakeshore Arts was lovely and gave us a crash course and mini-tour of their organization before we began. She was also extremely helpful, kind, and above all thankful – everything a new volunteer would like. She also offered to email us the data we had collected once it had been analyzed, to show us the results of our labour. We may not have been doing the most stimulating work but knowing that we were appreciated made a big difference. It was also nice to have a reason to get out of the house, explore a new neighbourhood, and experience some cultural activities on a lovely Saturday afternoon. What could be better? Hello! I will begin by introducing myself. I am just starting my year as an Arts Administration and Cultural Management student at Humber College. I would like to use this blog to mull over what I’m doing and learning and generally reflect on my current life path. No small feat. Third time’s the charm? I already have two degrees – a BA in History (medieval/early modern) and an MA in Public History (“it’s like museum studies”). In the back of my mind, though, I had a feeling a post-grad college programme would be in my future. Toronto’s a big city, and the job outlook is bleak. College is practical. I need all the help I can get! Here was my problem: I wanted to work in the history/heritage field, and that’s where most of my work/volunteer/school experience fell. 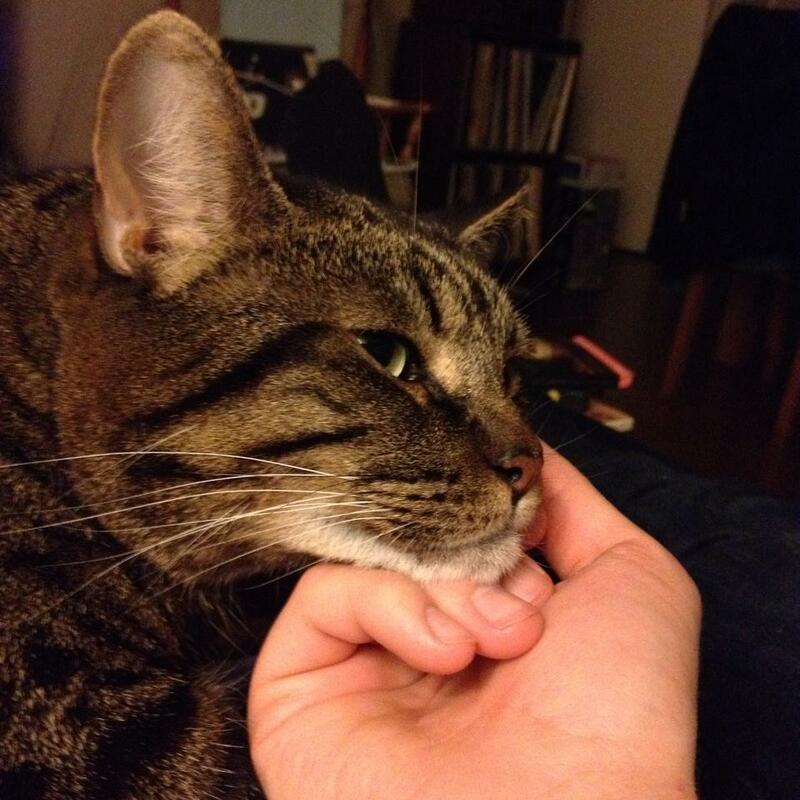 Not being able to leave Toronto (husband, mortgage, cat) was very limiting and I wasn’t having much luck. So I figured I would expand into the arts world, learning about working in all sorts of non-profits and become generally a more well-rounded candidate for paying jobs. Practical! It’s a little strange being back – I haven’t been in school for five (glorious) years. I am still working on my time management skills – I still expect to get home and have the entire night to watch TV and flit around online and leisurely browse cookbooks and food magazines for dinner ideas. 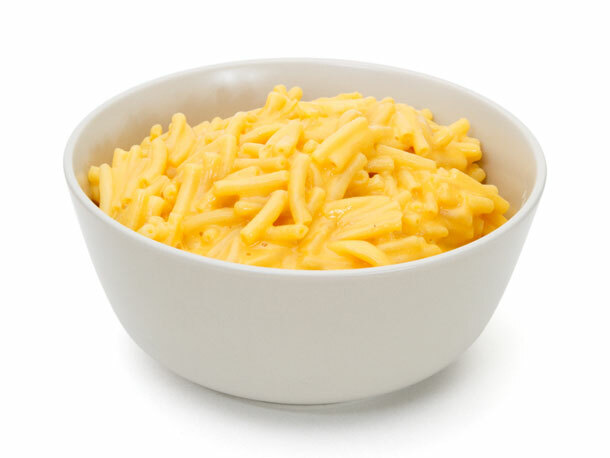 It took a couple weeks of Kraft dinner and frozen pizzas to get me out of the new school rut (work was overly crazy at the beginning of September too) but I still get easily distracted at home – I will need to work on my discipline throughout the year. Being a student again is awesome in a lot of ways, and I hope to take full advantage of the discounts (Metropass! Bulk Barn!) and the networking through classmates, teachers and work/volunteer placements. Learning a new thing or two wouldn’t be so bad, either.